Hi ,welcome to my web site. As a companion animal, much loved and hugged, I do get a bit grubby during the course of my duties and require a wash every once in a while. My life has been hell for the last three years ever since my owners bought and installed a Zanussi WDS1183 washer dryer. They have tried to get it fixed by calling out the service technicians three times but still I have to go through the hell of the terrible wash experience. The wash is so hot and cold that I nearly catch my death every time. You can easily see the problem with the machine by looking at the other clothes that are processed. They all come out wrinkled and crumpled despite any amount of fabric conditioner and non-iron muti. The only advice we seemed to get was check the hot and cold water connections but this is not as simple as it sounds. 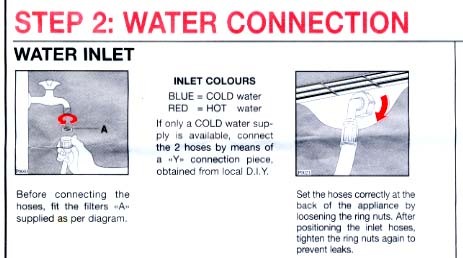 The instruction book shows this Picture Instruction book- Note only one hose attachment point shown. 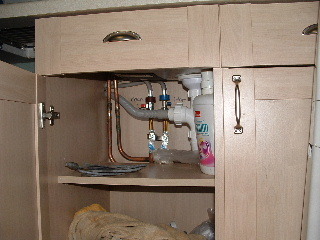 Then we discovered that the builders (this was a new house) Wainhomes had put the wrong coloured ends on the pipes under the sink (typical). This was discovered by touch when the water was flowing and are now correctly marked in pen on the wall. 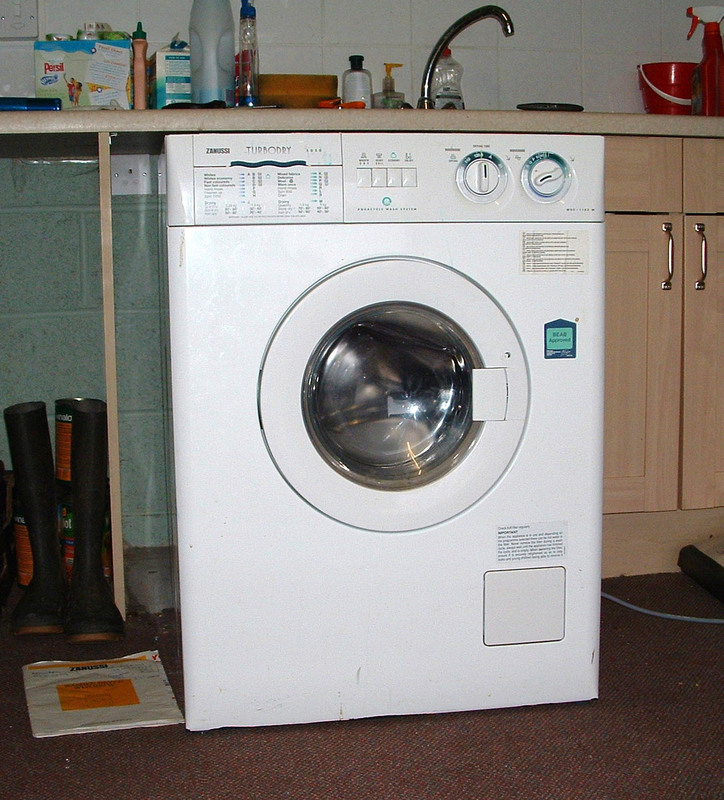 There were three service visits to the machine, at each visit my owners complained of poor wash performance and crumpled clothes. The last time they had to pay for the visit as Zanussi service refused to take the obvious problems any further. No wash day improvement was seen. 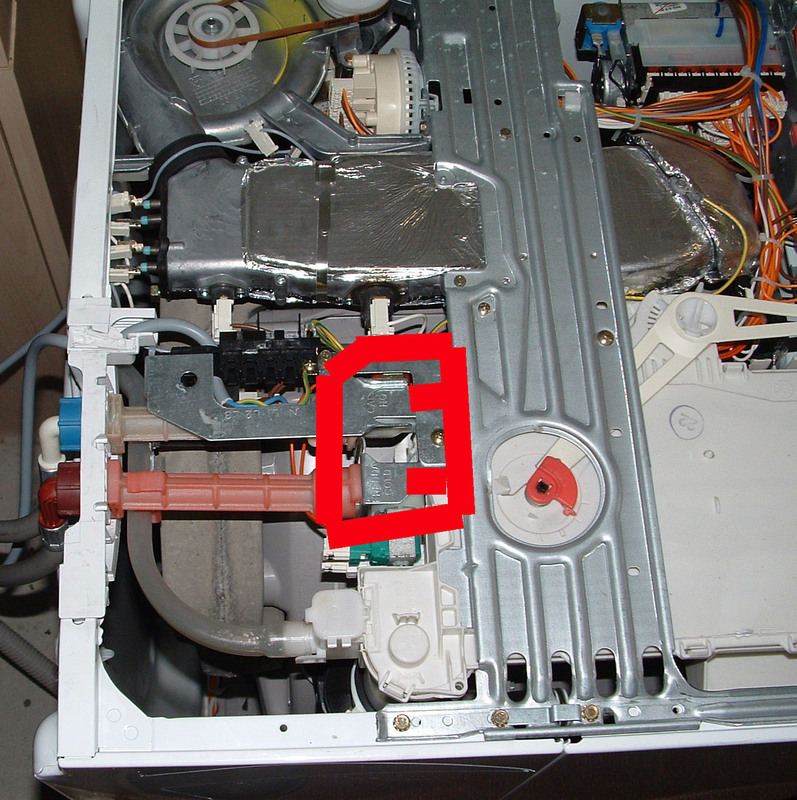 The last squirt of trouble came when the main drive belt broke in the machine so that the drum didn't go round. I had to sit in a stagnant puddle of dirty water for 2 hours during the last three wash cycles until this was discovered. Well, this week is Christmas and my dear owners are finally repaying all the love shown to us little ones by buying a new Hotpoint washing machine. When the dilapidated carcass of the old "machine of bunny wash torture" was dragged from the pit of despair, these loose wires were noticed by looking up at the machine from below. 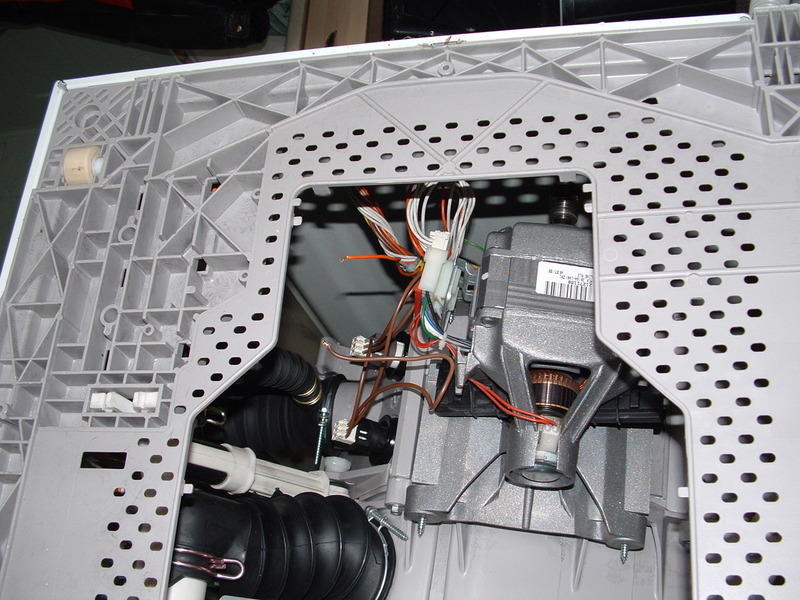 It can be seen that there are two lose wires, one orange coming from a bundle of wires and the other brown one seeming to come from sensors attached to the wash drum. One can only speculate that these sensors are part of the temperature control system that so dismally failed to deliver a quality wash experience. 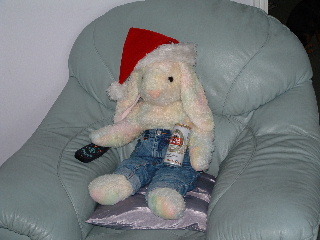 Despite suffering repeated machine wash trauma, Big Bunny can be seen here enjoying Christmas 2003. 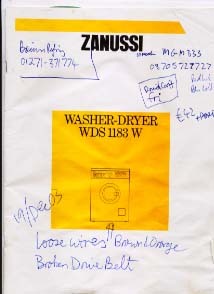 After an initial complaint to the Zanussi UK website on http://www.zanussi.co.uk/node240.asp fell on deaf ears, this website was constructed. Zanussi customer service have the right to reply and any reply will be posted here. If you have had a similar poor service experence with Zanussi UK feel free to make your own complaint and website. 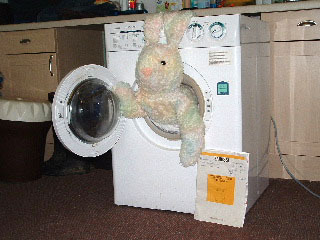 Send a link to Big_Bunny_wash_day_horror @ spikynorman.net and Big Bunny will add a link here. Fair recompence would be an apology to Big Bunny and contribution to the cost of the service visits that failed to find the fault ( three times ).